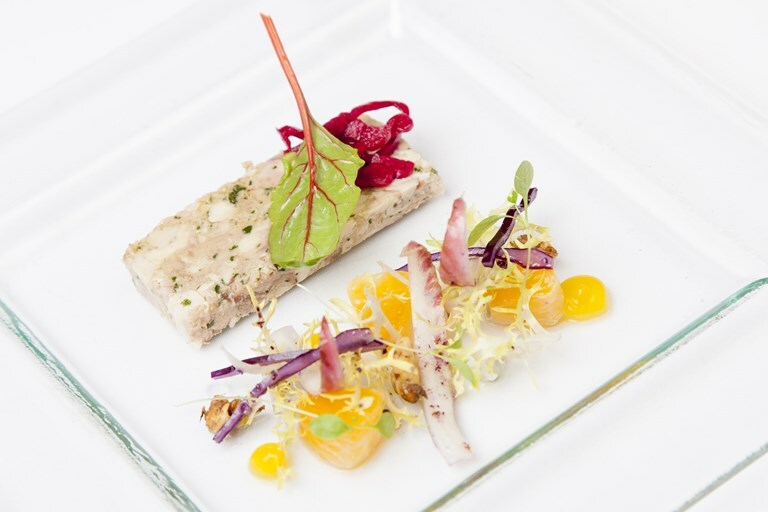 This elegant sous vide guinea fowl terrine recipe from Daniel Galmiche takes careful preparation but is well worth the effort. The guinea fowl is cooked low and slow in duck fat for meltingly tender results, and served with pickled red cabbage and an orange and chicory salad. An epicurean upbringing and stints in top restaurants across the world inspire Daniel Galmiche’s effervescent cuisine.